ZHENGZHOU -- Wang Min, former Communist Party of China chief of northeast China's Liaoning Province and senior national legislator, was given a life sentence Friday for embezzlement, accepting bribes and dereliction of duty. The sentence was handed down by the Intermediate People's Court of Luoyang City in central China's Henan Province. Wang was also deprived of his political rights for life, with all his personal assets confiscated. 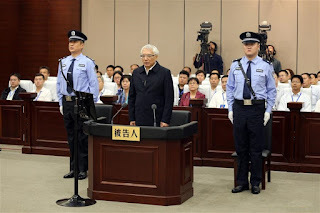 Wang was found to have taken advantage of his various positions to help others with business and promotions, among other offences, and accepted money and valuables worth more than 146 million yuan (21.7 million U.S. dollars) personally or through others when he served in senior positions in Jilin and Liaoning provinces between 2004 and 2016. 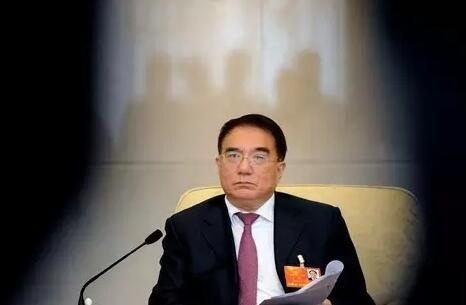 He was also found to have embezzled public funds worth one million yuan, when he was Party chief of Jilin Province. The court also convicted Wang of dereliction of duty. During his time as Liaoning Party chief, Wang failed to properly supervise local elections and was responsible for serious election fraud including vote buying. His negligence undermined the election system, resulting in major losses in the national and public interests and had an especially vile social impact, the court said. The court decided to be lenient as Wang pleaded guilty, expressed remorse, returned his illegal gains and offered information on other crimes.